Over the last month, we’ve highlighted the ways scholars, activists and journalists work to further social justice around the issue of stop-and-frisk. Today, we bring it all together. 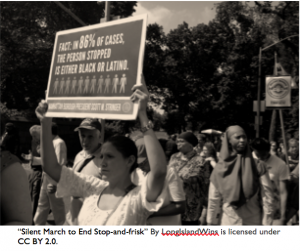 The stop-and-frisk information guide (or Module Packet) is designed to bring together scholarship, activist strategies, and digital media tools to help you create your own stop-and-frisk social justice campaign. Our goal with bring this all together is to create a practical, resource-rich, all-in-one introduction to start a social justice digital campaign, whether you are an activist on the ground, a journalist writing a story or an academic who may want to connect your research to social change. If you are teaching a class or training people in your organization, you can also use this Information Guide as a tool for teaching and learning about stop-and-frisk. Throughout this Information Guide, we cover basic campaigning how-to’s, some of the best tools for collaboration and outreach, and provide examples from the JustPublics@365 stop-and-frisk series. This entry was posted in News, Topic Series and tagged Digital activism, How-to's, Information Guide, Stop and Frisk on November 20, 2013 by Morgane Richardson. 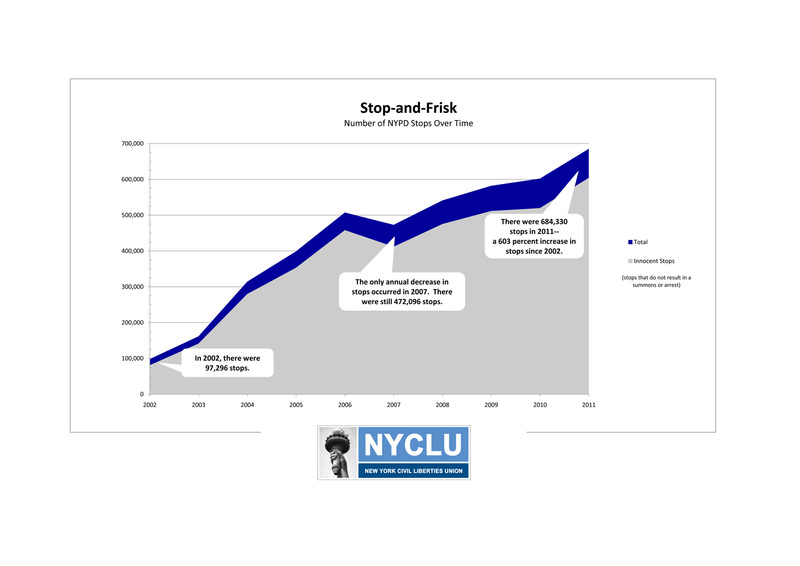 With this post, we are ending our month-long look at Stop-and-Frisk, the controversial set of policing practices that, as the New York Civil Liberties Union notes, has resulted in the discriminatory temporary detention of thousands of black and latino New Yorkers. Of course, it’s that last post, which covers the election of Bill de Blasio and the recent ruling on Stop-and-Frisk legislation, that reminds us how quickly the conversation is shifting, sometimes in unexpected ways. Though our own series is over for now, we will continue to track Stop-and-Frisk on this site and will be putting together an archive of our Stop-and-Frisk posts and resources. We invite you to continue this important conversation in the comments section and through social media as we collectively chart the future of our city and work together to create a more just public. This entry was posted in News, Topic Series and tagged Stop and Frisk on November 11, 2013 by Matthew K. Gold. So, what does it mean for stop-and-frisk policing in New York with Judge Scheindlin being challenged (and fighting back) and a mayor-elect who promises to bring change? It’s not clear yet, but activists are continuing to press the issue. 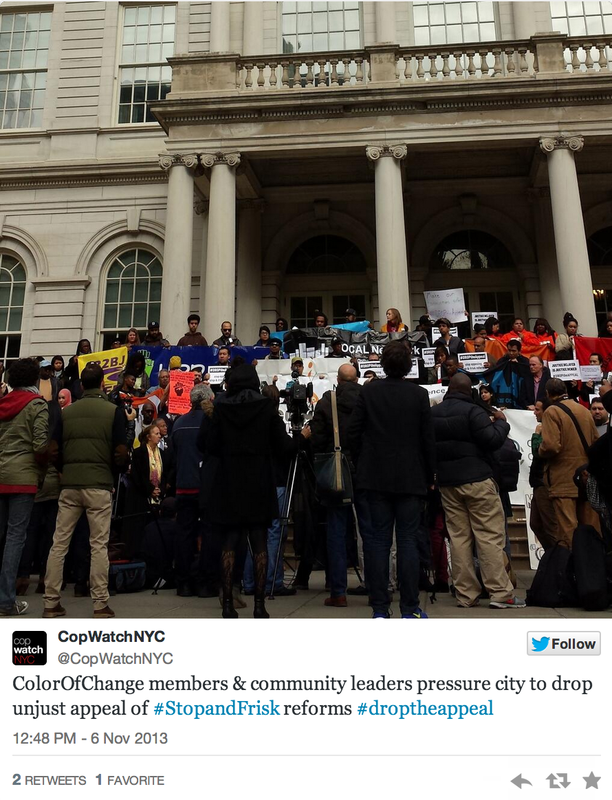 On Wednesday, activists from Color of Change joined with community leaders at City Hall to request that de Blasio follow through on his promise to reform NYPD’s stop-and-frisk policy. The question remain: will de Blasio get rid of discriminatory stop-and-frisks once he’s in office? How can activists, journalists and academics come together to ensure that changes are made to the offensive policing tactics? Talking Transition is truly new kind of effort to make the mayoral transition in New York City a truly open one. This unique approach to mayoral transition is made possible by several foundations, including our sponsor the Ford Foundation. The initiative aims to make the mayoral transition more transparent through a series of events, including The Talking Transition tent which will be open from 9AM to 9PM every day of the week from Nov.9 – Nov. 23. 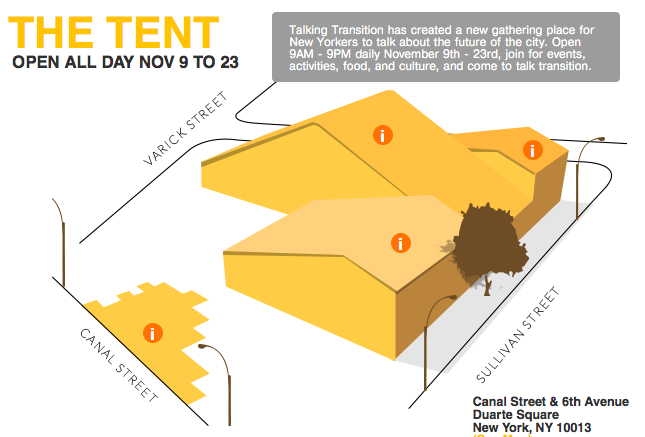 You can also submit your thoughts about the transition online, and there will be a series of mobile Talking Transition tents throughout the five boroughs. Contribute to The Talking Transition and let the newly elected Mayor diBlasio know your thoughts on stop-and-frisk. 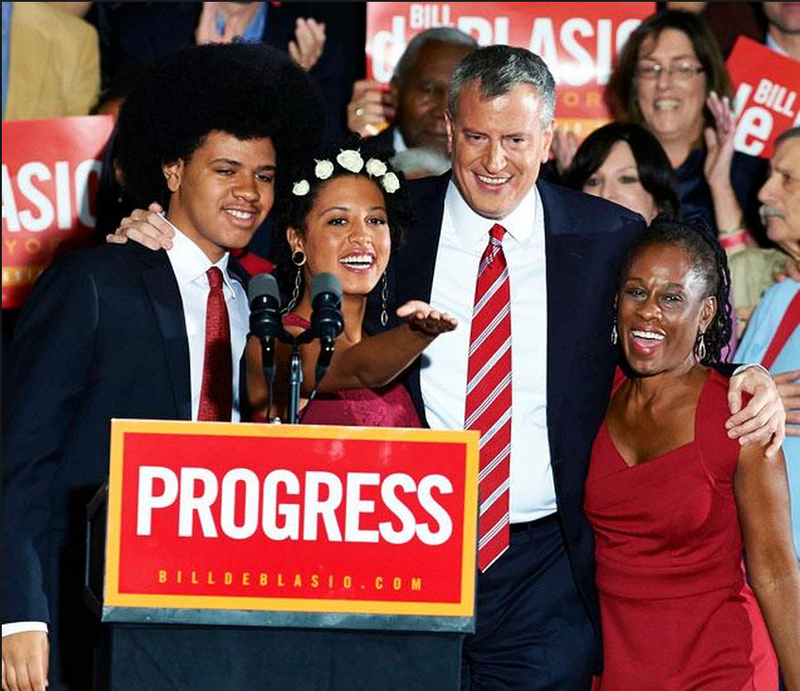 This entry was posted in News, Topic Series and tagged Bill de Blasio, Color of Change, Stop and Frisk on November 7, 2013 by Morgane Richardson. Today, our stop-and-frisk series continues with an email interview I did with two researchers involved in the Morris Justice Project (MJP), a community-based, participatory research and action project in the Bronx. Brett Stoudt (PhD, John Jay-CUNY) is an Assistant Professor in the Psychology Department with a Joint Appointment in the Gender Studies Program at John Jay College of Criminal Justice. 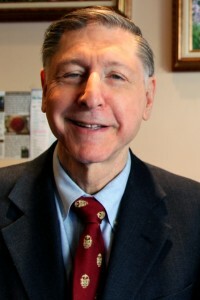 He has worked on numerous participatory research projects nationally and internationally. He has recently served as the Research Director for Polling for Justice: a large NYC based participatory action research project to explore, with youth and adults, the experiences of young people across criminal justice, education, and public health. His work has been published in volumes such as Class Privilege & Education Advantage and journals such as The Urban Review; Children, Youth & Environments; and Men and Masculinities. Maria Elena Torre (PhD, Graduate Center-CUNY) is the founding Director of The Public Science Project at The Graduate Center of the City University of New York. 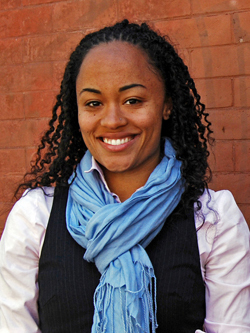 For more than 10 year s she has conducted participatory action research nationally and internationally with schools, prisons, and community-based organizations. Her work has introduced the concept of ‘participatory contact zones’ to collaborative research, asking how we might build a radically inclusive ‘we’– from which to build knowledge, relationships, and policy that interrupt social injustice? She is a co-author of Echoes of Brown: Youth Documenting and Performing the Legacy of Brown v. Board of Education and Changing Minds: The Impact of College on a Maximum Security Prison. Jessie: Can you share a little bit about the Morris Justice Project and how you came to be involved in the issue of stop-and-frisk in New York City? Brett and Maria: The Morris Justice Project was designed to document the experiences and attitudes of residents living in a heavily policed New York City neighborhood. Since 2011, we have collaborated with residents of the Morris Avenue area of the South Bronx, a neighborhood in the 44th police precinct that had the highest percentage of police stops leading to physical force in New York City. We joined together as a research team after each of us had grown deeply concerned about the impact of the city’s increasing use of aggressive and discriminatory policing. Mothers (who eventually became our co-researchers) had taken to filming police interactions with their sons, using their cell phones to document regular harassment in their private courtyard. We were interested in partnering with them after our own city-wide study (Polling for Justice, Stoudt, Fine & Fox, 2012) revealed disturbing interactions between youth and police. Our mutual concern led us to meet others in the neighborhood and after an open community meeting at the local Melrose library, we formed a diverse community research team of elders, mothers, fathers, youth, students, community organizers, university faculty and attorneys. Together, as co-researchers, we developed all of the research questions, methods, analyses, and products collaboratively. Using a participatory action research (PAR) framework, we deliberately engaged the expertise in the neighborhood – the experiences and understandings of those living the consequences of years of policies like stop-and-frisk. Our team decided on a multi-method design that would be able to speak to the NYPD as well as to neighbors in the South Bronx and those who have never been stopped. Over multiple sessions and rich discussion in the library, we built our capacity as a research team through exchanging knowledge about research methods, everyday experiences of stop and frisk, and about city data on policing. We then developed a survey interview and questions with the intent of gathering a representative portrait of neighborhood experiences with and attitudes towards police, as well as close looks at those of particular populations (e.g., mothers, elders, young African American men, etc.). Armed with pens and clipboards, the research team walked the 42 blocks of our neighborhood and systematically distributed the survey in person, block by block. Surveys were also distributed with the help of local businesses, churches, the library, and social networks. Over 1,000 surveys were collected. Additionally, the research team conducted focus groups and individual interviews. The research team analyzed the quantitative and qualitative data collaboratively using methods such as stats-in-action that allows everyone to participate in analysis at the same time. The findings were used towards a broad set of local and citywide police reform activities intended to raise awareness as well as support ongoing legal and legislative work. This included producing a report that can be easily be carried in a back-pocket, posters, buttons, and t-shirts to communicate the experiences and impact of aggressive policing; co-sponsoring events with community and legal organizations such as the Bronx Defenders and CopWatch to address neighborhood safety; and producing an active social media campaign in solidarity with court cases, legislation, and community organizing related to police reform. Throughout the research process, the lawyers on the research team provided education and legal services for individuals living in the neighborhood. In addition to documenting experiences and impact of aggressive policing, we developed the ‘community safety wall’ a growing mobile museum of residents’ understandings of what makes their neighborhood feel safe. These ideas will be further developed in community safety workshops this winter that will be designed to offer advocates and policymakers concrete alternatives beyond policing for creating safe communities. You can learn more about the project, the findings, and products at http://morrisjustice.org. Jessie: What changes do you foresee with District Court Judge Shira Scheindlin’s recent ruling on this controversial policing practice? Brett and Maria: The Floyd and Ligon class action lawsuits against the NYPD as well as the passing of the Community Safety Act (Intro 1080 and 1079) mark important strides to end discriminatory policing practices in NYC. However, the recent U.S. 2nd Circuit Court of Appeals decision has made the future of police reform temporarily uncertain. The next mayor will play a significant role in whether future appeals are pursued and how and what changes eventually occur within the NYPD. Jessie: Some academics might be hesitant to get involved in such a controversial political issue. What do you say to critics who might question your ‘objectivity’ as a scholar? Brett and Maria: First, whether considered ‘controversial’ in the public or not, there is no credible academic research thus far that has been able to demonstrate a substantial relationship between the decline in crime in NYC and the increasing use of stop-and-frisk by the NYPD. There are however, many studies, and now several lawsuits, that have demonstrated that stop- -and-frisk has too frequently been racially biased, unconstitutionally practiced, and ineffective at uncovering weapons or other crimes. At the same time, there is increasing evidence that it deteriorates community-police relationships and has a whole set of unintended consequences, in particular for communities of color, poor communities, and among LGTBQ and gender-nonconforming people (whether stopped by police or not). For more details about the ways stop-and-frisk harms community-police relationships see http://morrisjustice.org/report and http://www.vera.org/project/stop-question-and-frisk-study). 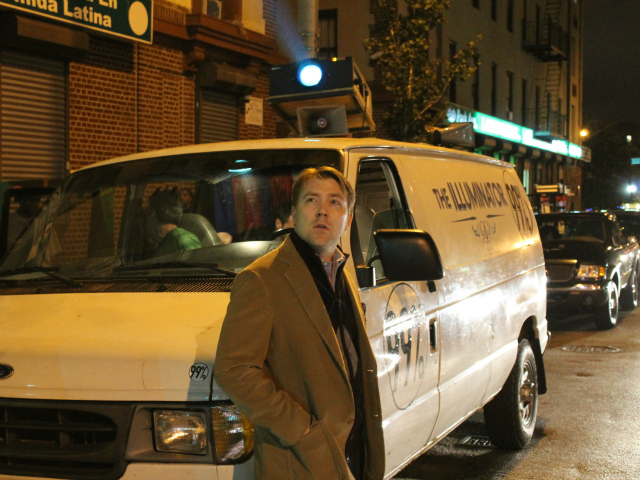 Communities like the South Bronx deserve effective policing that is fair and just. Second, we are participatory action researchers (PAR). PAR argues that the distinction between ‘academic’ and ‘activist’ is a false dichotomy. There is a long history of scholar-activists like Kurt Lewin, W.E.B Du Bois, Ignacio Martín-Baró, Paulo Freire to name a few. Scholar-activists are committed to producing strong scholarship, grounded in carefully produced and analyzed data, that is in turn useful beyond the academy – for the general public, for activists, advocates, lawyers, and policymakers. While all of our work produces academic papers and presentations we equally value other more popular or ‘public’ ways of using our research to interrupt injustice. PAR does not subscribe to the notion that social science is ever value-free. In fact, we believe that research that strives for, or claims, objectivity, is vulnerable to reproducing values that reflect or benefit those in power or who hold privilege. Instead, PAR asks that researchers to examine the ways knowledge is historically situated and produced, and to reflect carefully on how our lives (e.g. our experiences, values, biases, and assumptions) may determine what we ask, what we see, how we analyze, and what we say. In practice, as PAR researchers, we think and talk about our values and assumptions as part of the research process and we build diverse research teams as contact zones (almost as a validity check) with multiple standpoints, experiences, skills and expertise. We furthermore seek opportunities outside our research team to hold our instruments, data, and interpretations accountable (e.g. community-based advisory groups). And in our analyses, we intentionally seek counter-stories, outliers, and pieces of data that do not match our assumptions and overall conclusions. Jessie: A major focus of JustPublics@365 is bringing together academics, activists and journalists in ways that promote social justice, civic engagement and greater democracy. What sort of ‘lessons learned’ do you have from your experience with the Morris Justice Project about academics entering a terrain more frequently trod by activists and journalists? Brett and Maria: The participatory community-rooted design used by the Morris Justice Project allowed researchers (in the academy and the community) to simultaneously speak to local and citywide concerns about policing. The project was intentionally designed to deeply engage a small, highly impacted section of NYC in order that both research and action could go beyond a city sweep and remain local in its focus and attention. Our research findings and products made their way into the city-wide campaign for police-reform, and at times into the hands of lawmakers, but each instance was grounded in the community from which the data was produced. As an example of research that braids research and action through scholarly and democratic practice, the Morris Justice Project is useful. The research team held two simultaneous commitments in solidarity with the citywide police reform movement: finding strategies to be in conversation about policing with residents in the neighborhood as well as findings strategies to amplify the experiences and concerns within this one neighborhood throughout the city. This research-action design allowed for the collection and analysis of large amounts of information (data) and then the direct delivery of that information back in a reasonably comprehensive way to those who produced it, through education, local activism, legal support, and relationship-building with local residents and community organizations. At the same time, the design allowed for the collection of information that had relevance beyond the local and the development of genuine social, professional, and political relationships that extended beyond the project. As a result, the Morris Justice Project, through its research, was able to establish strong and reciprocal connections with a host of citywide activities including grassroots activism, legislation, and lawsuits. This entry was posted in News, Topic Series and tagged Morris Justice Project, South Bronx, Stop and Frisk on November 6, 2013 by Jessie Daniels. 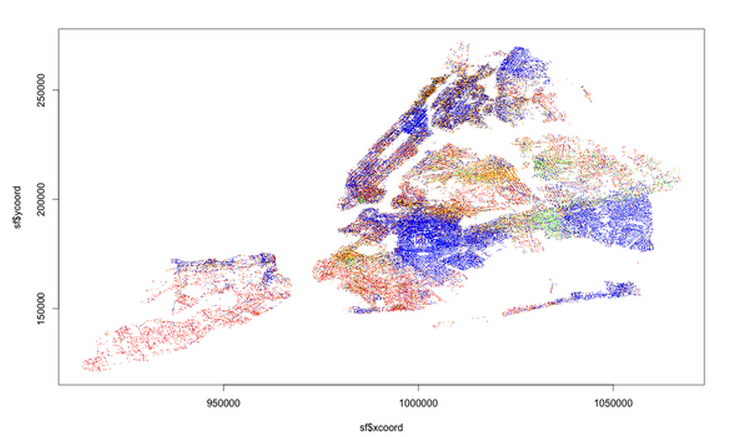 A powerful way to understand the effects of stop-and-frisk on the people of NYC is through data visualization. Data visualization provides scholars, activists and journalists with a set of tools to display data in a way that can be more easily and clearly communicated with a broad audience. In an era in which digital media is re-shaping scholarly communication, data visualization has became an important tool in teaching, research and activism. Many data visualizations have been created to illustrate the effects of stop-and-frisk in New York City. For example, the folks at the Center for Constitutional Rights have created a map that shows which neighborhoods have been most affected by stop-and-frisk by charting the number of stops by precinct. A journalism school class at Columbia University compiled stop-and-frisk data to produce a map with stops color-coded by race. 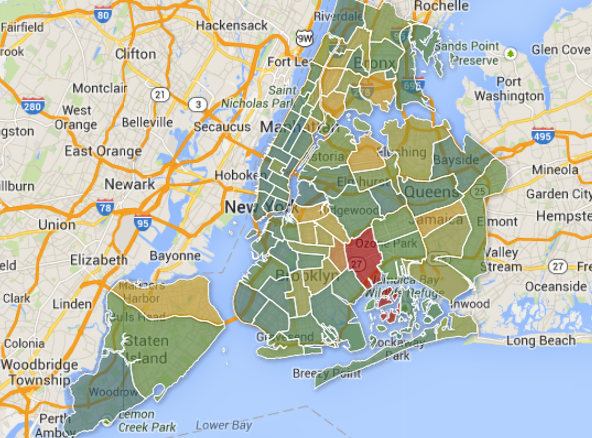 The map powerfully illustrates how stop-and-frisk policing disproportionately impacts communities of color. 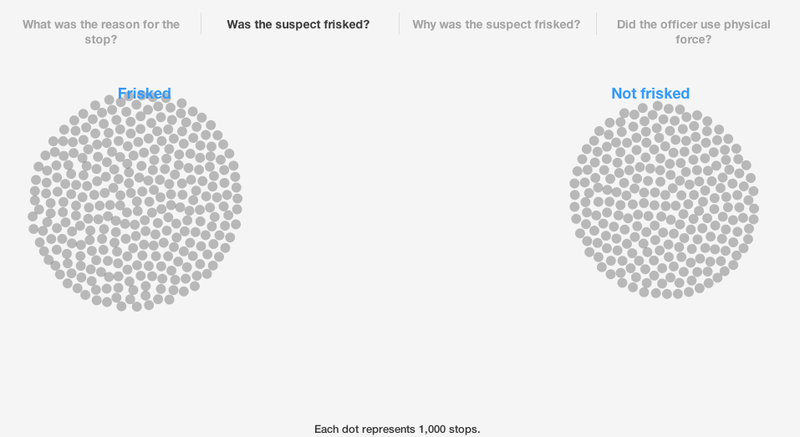 Stop and frisk data broken down by race (each dot represents a stop). The key to reading those dots is as follows: 1. black: blue; 2. black Hispanic: black; 3. white Hispanic: orange; 4. white: red; 5. Asian/Pacific Islander: green; 6. American Indian/Native Alaskan: yellow. Are you interested in making your own data visualization? There are many tools that journalists, academics, and activists can use. As a way to get started, take a look at this list of the Top 20 Data Visualization Tools. 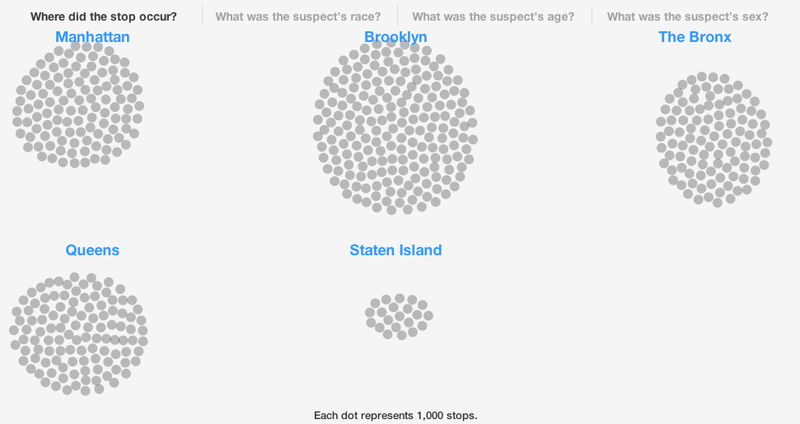 This entry was posted in Data Visualization, News, Topic Series and tagged data visualization, infographics, Stop and Frisk on October 31, 2013 by Morgane Richardson. Jamilah King is the news editor at Colorlines.com, coordinating story assignments as news breaks, as well as covering urban politics and youth culture. In this interview we talk about her involvement as one of the leading journalists working on the issues of urban politics and youth culture in New York City and what changes she foresees coming from District Court Judge Shira Scheindlin’s recent ruling on Stop-And-Frisk. Can you share a little bit about yourself and your involvement as one of the leading journalists working on the issues of urban politics and youth culture in New York City? I’m a senior editor at Colorlines.com. I have been with Colorlines for quite a few years. We were really moved by the issues of “Stop and Frisk” for a number of reasons but primarily as people of color who live in New York City it’s an issue that deserves attention and that’s why we try to cover it. Colorlines is a national news site where we aren’t afraid to talk about race. That could mean everything from talking about things that are kind of explicitly about race, issues like “Stop and Frisk” for sure. Pretty policy heavy and exists within this long history of police harassment of men of color specifically. It can also mean talking about music and culture and that’s sort of where I sort of step into the picture and look at issues as they relate to culture. How people move through cities or move through environments and the policies that affect that movement. For instance, today we did a story on the Swedish band Dragon, they’re getting ready to release their new album. Using a lot of South African house music on it. It’s kind of a little bit of everything. But it’s multi-centered on the idea that we’re not afraid to talk about race in an era when a lot of people are really really afraid to talk about race. Our social justice topic series on stop-and-frisk is focused on envisioning what NYC will look like without stop-and-frisk tactics. In your experience, what changes, if any, do you foresee with District Court Judge Shira Scheindlin’s recent ruling to end this controversial policing experiment? What does this ruling mean to the young men and women of color in NYC? I think the first thing is a lot of the folks that have been covering “Stop and Frisk.” a lot of the folks that have been advocating force and of course folks who have been directly targeted by “Stop and Frisk” practices would like to envision a New York that is actually welcoming to all of its inhabitants. You know New York has this global reputation as the city where anyone can come and make something happen. Where anyone can come and make themselves feel at home. I think that historically that has been true for certain communities. Primarily white communities or communities of privilege. But it has not historically been true for communities of color. We did a couple of pieces specifically talking to young men of color and young people of color who were targeted by “Stop and Frisk” all the way back to 2010. We actually talked to the David Floyd who really emphasized this idea of wanting to walk down the street and not feel a sense of fear. That you are a target. In my reporting I’ve talked to a number of psychologists and policy folks who were really trying to bring home the point, the psychological, emotional and physical impact that a policy like “Stop and Frisk” has on someone. If you are a young man of color who is walking down the street and you do get stopped and you do get cited for whatever reason, I think that it has a profound impact on not only on the way that you see police, but the way that you see yourself. I was talking to a young man who actually last summer who lived in Brownville, Brooklyn.He’s a guy who works at a community center and he had grown up in Brownsville. He really communicated to me just feeling like you’ve done something wrong. Just by being in your skin, your body. You, by walking down the street, is somehow a criminal act. That is wrong on any number of levels. But it’s especially wrong when you think about it in this context of really policing the bodies of people of color. I know that a lot of “Stop and Frisk” is very specifically about black and brown men. But it’s also an issue we have seen with queer communities of color. It’s also an issue with women of color. I think the broader issues of surveillance of communities of color is something that you see across these different sections. The AP, Associated Press, did a story, an investigation last year looking into the unwarranted surveillance of Muslim communities of New York State. And now you have all these NSA revelations we’re all seeing that we’re being targeted in some way, shape or form. Even for folks who aren’t directly impacted by a thing like “Stop and Frisk” I think they should be wary of it because it sets a precedent. It sets a precedent for the types of behaviors that law enforcement can engage in. While those behaviors may start with one particular community they often expand to a lot of other people. A major focus of JustPublics@365 is bringing together academics, activists and journalists in ways that promote social justice, civic engagement and greater democracy. What sort of ‘lessons learned’ do you have from your experience with activists and journalists working together to shed light on Stop-and-Frisk? I think that “Stop and Frisk” is a really is a model of a very specific policy issue that gained a lot of traction, thanks in part to those different sectors working together and each sharing their expertise. You know? You had groups in New York City who had long been working on issues of police accountability and they were sort of very involved in the organizing elements of this. You have groups like Communities Against Violence, you have also the Malcolm X Project, these groups that have long been doing this type of work. they were very much integral in pushing that policy agenda. Then you had young people. You had young people, you had young media makers, media makers in general actually capturing what was happening. That actually gave voices and stories and faces and names to the issues that many people felt very detached from. Then of course you had the academic aspect of it which gave a lot of context, historical context that was going on. I think especially in my work as a journalist it was really important to get the perspective of academics who not only work in policy, but as I mentioned before who are psychologists and can actually talk about this as a public health issue and not just one of quote-unquote political correctness. I think that by having a bunch of different people at the table owning their expertise, giving and allowing each other the room and the space to own that issue from their perspective. “You are great with a camera go out and make a short video,” if you are great at sort of getting into the meat of things. If you’re a great organizer and can bring a hundred or two hundred people together, then do that. I think you really, really saw a lot of that traction and positive energy around this issue. What people and resources (both print and social media) should individuals follow to stay on top of news related to stop-and-frisk? Colorlines.com is a good resource that I’d encourage everyone to read. Also organizations that have been working on this issue. I mentioned Malcolm X Project does a lot around policy. The Nation magazine published, about a year ago, one of the first videos that captured the interaction between a young man of color, and a police officer, who was being stopped and frisked. Those are the sort of outlets that I think that folks can go to if they want to stay plugged in. I’d also say that this is an issue that’s built around personal narrative. I think talking to people in your community about issues of police harassment or even talking to police officers themselves, ones who are safe to talk to and are willing to engage around what does safe and accountable police look like. Those are the conversations that can be had in a number of communities, not just New York. This entry was posted in News, Topic Series and tagged Jamilah King, Stop and Frisk on October 30, 2013 by Heidi Knoblauch. Throughout this topic series, we will introduce knowledge streams and digital tools that can help you present information in engaging and meaningful ways. The Timeline JS tool used to create the Stop-and-Frisk timeline is one of these tools. Timelines allow you to craft a narrative for your audience, gather a wide range of information, and provide a platform that is clean, clear, and interactive. Whether designing a class project, curating data and resources for an academic article, or presenting a history of your community group, timelines naturally combine the visual and textual in an easy to follow format. While digital tools change at a rapid rate, a current favorite timeline of mine is Timeline JS. Developed by Zach Wise as part of Northwestern University’s Knight Lab, the tool is simple to use and produces visually appealing, interactive timelines that are easily embedded on a website. To get started, download the Google spreadsheet template. You can then pull in media directly from Wikipedia, Soundcloud, YouTube, GoogleMaps, Twitter, Flicker, and more. There are clear step-by-step instructions on on the Timeline JS website, including a video tutorial and an excellent Help section. We’ve also made some screencasts to get you started. The first walks you through the basics of creating a timeline, the second highlights some of the options available. 1. Create a clear narrative. The strongest timelines are those that tell a clear narrative. Though presented in a visual form, timelines are much like any research paper or story: they work best when they have a good organizational structure and the order of the argument makes sense. 2. Incorporate a range of media. Images are only one way to ground your text. Charts, maps, documents, links to other sources, video, and infographics can give your project a more robust feel and provide your reader with further avenues to explore on the topic. 3. Cross-promote content. Timelines let you curate a broad range of information. If there are academics, journalists, activists, or community groups working on the subject, be sure to include links to their websites, tweets that are relevant to the topic, and events or research that they’ve done. Not only will this broaden the readership of your timeline, but it will direct people to important work being done in the field. In the comments, please feel free to share links to your own timeline projects. 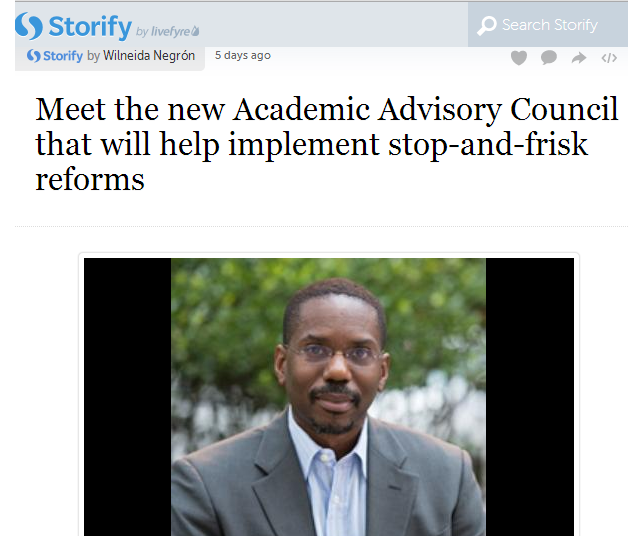 This entry was posted in News, Topic Series and tagged Digital activism, digital tool academic blogging, Stop and Frisk, Timeline on October 18, 2013 by Emily Sherwood. The policing practice known as “stop-and-frisk” is a key feature in the oppression of African American and Latino people in New York City. In particular, the NYPD targets young men of color with practice. These encounters are often the beginning of being “caught up” in the criminal justice system. It destroys individual lives, families, and entire communities. Although the legal authority for street stops has existed since 1968 (based on the US Supreme Court decision on Terry v. Ohio) the kind of stop-and-frisk policing we see today really began in New York City in 2002 under the Guiliani administration. The number of stop-and-frisks continued to rise exponentially under Bloomberg’s administration. In 2011, some 685,000 people were stopped and frisked by NYPD, most were black and brown, and 90% were never charged with any crime. Of the 10% who were charged, most were for small amounts of marijuana. “Resisting Criminalization.” In one of three concurrent round table discussions, participants were invited to discuss ways to people in different arenas (academia, journalism, activism) might work together to “resist criminalization.” All the invited round table sessions addressed three questions: 1) what’s the underlying problem? 2) how do we address it? and 3) what can we do when we leave here to create change? What follows is a brief summary of the round table discussion on stop-and-frisk. What is the underlying problem with Stop & Frisk? Many participants discussed the idea that over-policing of youth of color was based on essentialized ideas of black and brown youth as inherently criminal. Carla Barrett from CUNY John Jay drew disturbing parallels between the moral panic over ‘super-predator’ youth of 1980’s and today’s stop-and-frisk policies. Chino Harden of the Center for NuLeadership pointed out that this policing strategy does not result in fewer guns on the streets. The seizure rate of guns from these stop-and-frisk encounters is less than one percent by the police department’s own figures. The result, Hardin noted, was an increase in marijuana arrests. These charges act as a marker making future police interaction more perilous for our young people. She relayed a story that in her own police encounter, an unpaid criminal fine resulted in her arrest and incarceration. Annette Dickerson from the Center for Constitutional Rights emphasized that the problem of police mistreatment of minorities did not begin with stop-and-frisk and no court case (referring to Floyd, et al. v. City of New York, et al.) is going to end it. The struggle will be long. How can we resist Stop & Frisk? Resisting Stop and Frisk comes in many forms. The facilitator of this session, Tara Conley (Media Make Change), is developing an easier to use version of the android app for uploading film of police encounters called TxtConnect. Steven Wasserman of Legal Aid said that he believes that the police view stop-and-frisk as a way to make ‘being on the corner’ uncomfortable for people of color. To which Annette Dickerson concurred, saying that ‘stop-and-frisk is part of somebody’s quality of lifestyle,’ connecting the politics of gentrification to over-policing. Other suggestions for resistance included sharing police encounter experiences over social media and print journalism. Chino Hardin also called for coming up with community-based solutions and not relying on police. Another strategy she suggested was to build resistance via ‘a hood call’ where people hold police accountable by being visible presence when stops occur. 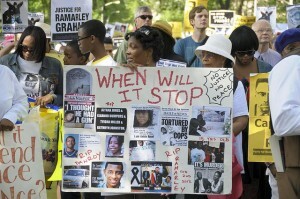 What can we do when we leave here to end Stop & Frisk? Everyone in the room wanted to not simply “resist,” they want to end it. Strategies for doing so included through alternate civilian patrols that would make minority neighborhoods safe for all (including LGBTQ members and elders). Great hope was placed in the change of mayoral administration as a means to affect change. As the participants agreed, “No one thought two years ago every mayoral candidate would have to have a position on Stop and Frisk. Now they do.” We just need to make sure a candidate whose position is to end it gets elected. The archived livestreamed video of the event is here. To follow soon, we’ll post a more polished video recording of the panel discussion. This entry was posted in Events and tagged Criminalization, NYPD, race, Stop and Frisk, youth on April 24, 2013 by evan misshula.